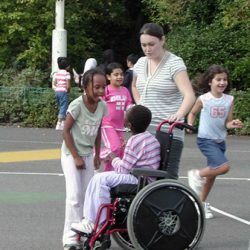 Every pound you donate helps us to campaign for the right of disabled children and young people to learn in the mainstream. You can set up a single or recurring donation here – no card required. If you are a UK tax payer, your donations are eligible for Gift Aid, at no extra cost to you. Using Gift Aid means that for every pound you give, ALLFIE gets an extra 28 pence from the Inland Revenue.